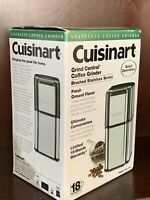 Cuisinart DCG-12BC Coffee Grinder - Stainless Steel Brand New In Box! Free S/H! Great communication. Had issue with unit and seller replaced immediately!!! A great Seller a++++… I would welcome to do business with you again! thank you for the great service!!!!! 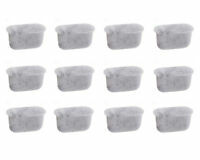 Easy To Use, Great Price, Deep Water Reservoir & Can Use Any brand of cups. Clean Stainless steel lines. Looks great in my kitchen. Prefer this over various competitors coffee makers. Would recommend highly. Nice looking & functioning coffee maker. Great product, easy to use. Makes a Great Cup of coffee, very quickly. Absolutely love this machine. Best ever. Excellent condition and I am very happy.